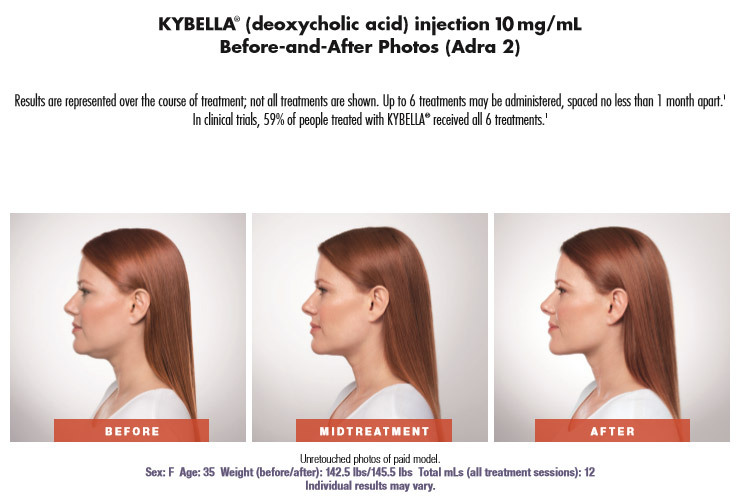 Kybella™ is the first FDA-approved injectable for fat cell destruction. It will contour and improve the appearance of the submental region under the chin, also referred to as a “double chin.” Once destroyed, fat cells can no longer store or accumulate fat. You can expect 2 to 3 treatments about six weeks apart. 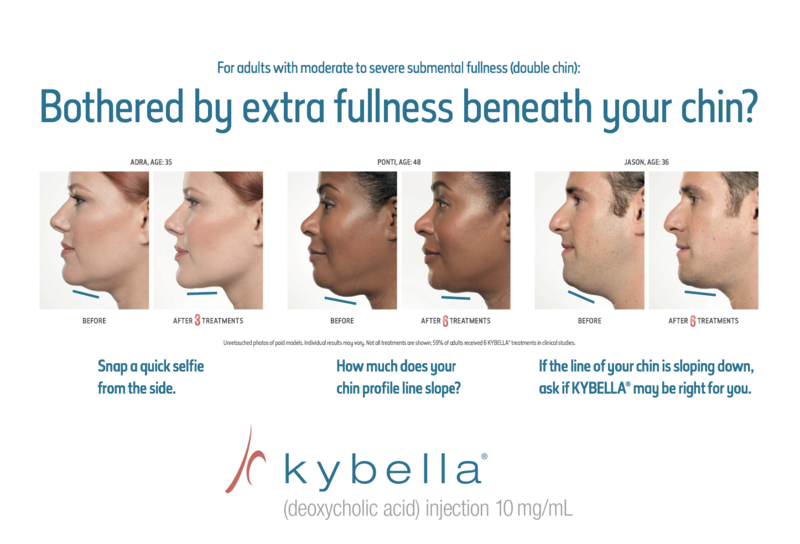 Results are permanent as long as there are no significant lifestyle changes, however patients from clinical studies who gained weight after Kybella™ did not see a return of their submental fullness. Some bruising may occur after treatment and swelling may be noticeable for 2 to 5 days. Initial swelling can take up to 1 to 2 weeks to subside, so the final results will appear within 4 to 6 weeks. Temporary tingling and other mild side effects will be discussed prior to the procedure. Dr. Dolev will assess your submental area and let you know if you are a good candidate. 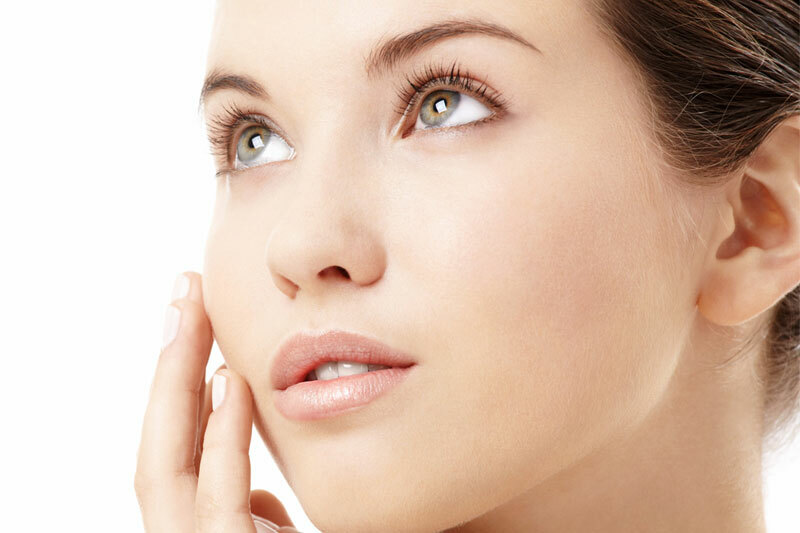 In some cases, because of increased skin laxity, she may combine treatment with tightening lasers.